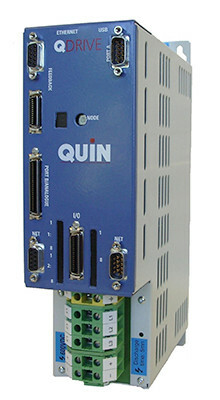 The QDrive from Quin offers outstanding capability across a range of applications. With processing speeds that are ten-times faster and double the number of digital inputs, this is an intelligent, speedy digital servo drive that will make a real difference to your performance. Servo motor operates as standalone drive or links to SERVOnet for multi-axis applications. For more information, download the QDrive data sheet, or contact us for legacy support.